Hamish & Andy put three people in separate isolated storage units and asked them to hit a button when they felt like one hour had passed. I would do poorly. Even if I started counting, I'd become too distracted by the noise in my head. I've always wanted one of these, and now I can get one pretty cheap! 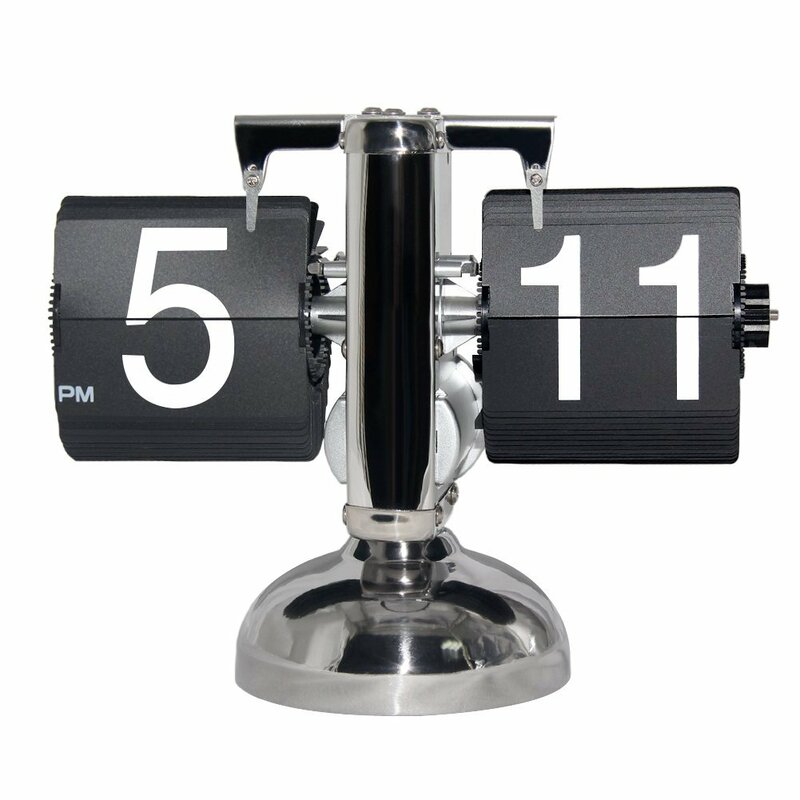 The KABB Modern Digital Flip Clock is $44, comes with black or white number flaps, and runs off a single D battery. It looks a bit cheap in the photos—I certainly don't think it'll pass for a vintage Bomba—but that hardly matters, as it's just another totem of my anxious and obsessive grasping at nostalgia for a technological age I am too young to have experienced, a timeless jumble of false comfort doomed to be discarded in a convulsion of minimalism that is itself merely another manifestation of the deracinating consumer identities to which we are all measured against and fed to like krill. 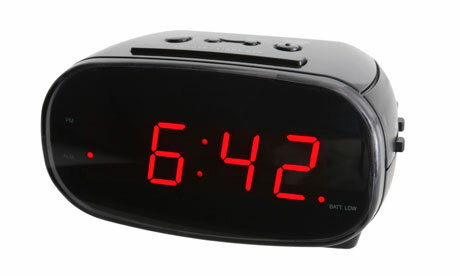 Thirteen years ago, Pittsburgh's Jerry Lynn carefully lowered an alarm clock on a string, lowering it into a wall from the floor above, part of a cunning plan to identify where to drill a hole by waiting for the alarm to go off. Unfortunately, the string snapped, and the clock's been going off daily ever since. MNTNT's Albert Clock is a clock that presents the hours and minutes as simple math problems. Is it annoying or engaging? Or.... both! You can also download the Albert Clock as a free mobile app. 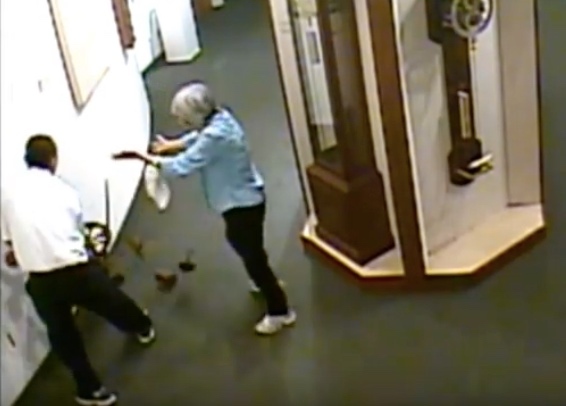 Museum director Noel Poirier told NBC Philadelphia that the couple reported the mishap to museum staff. The clock is undergoing repairs and will be on display again in a few months. Once upon a time, clock towers were a sort of public utility, a shared temporal reference point that synchronized communities where personal timepieces were often a rarity. 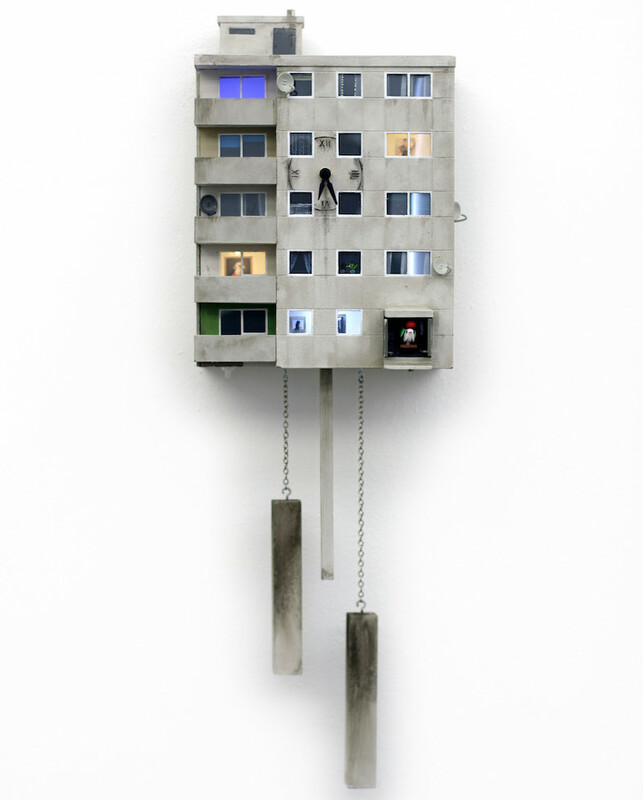 Although we hardly need the reminder in the modern age of smartphones, there's something about these buildings still capture the imagination, not just as striking aesthetic objects, but as physical metaphors for either moving through time, or running out it. 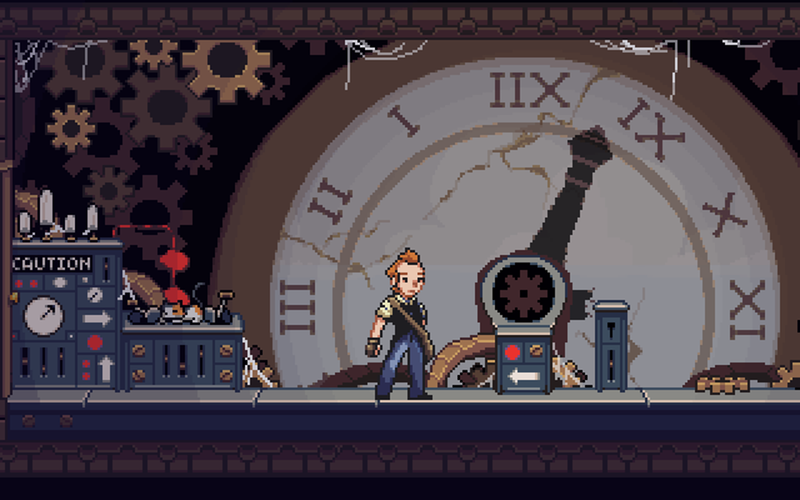 In the game Tick Tock Isle, you play as a "confident young horologist" (read: clock man) who has been summoned to a mysterious island to fix a broken clock tower, which should be your first clue that things are about to get weird. Naturally, you end up traveling back in time to the days when the now empty island was a bustling community, and have to figure out how and why it got abandoned by talking to townspeople and solving puzzles. If you're a fan of adventure games, it's definitely worth the hour or so it takes to play what developer Squiddershins calls "a very short, very silly adventure." Tick Tock Isle is also described as a "spiritual successor" to Cat Poke, the developer's earlier puzzle game about a little girl annoying her pets on a rainy day. Although it doesn't have nearly as many cats, Tick Tock Isle manages to pack a lot more story (and mystery and humor) into a game that is just as short, sweet, and charming. This is Zinnia, a spring driven kinetic sculpture that will quietly run about 40 minutes on a full wind. Each of the two display wheels is 24" (61cm) in diameter, and as they change rotational speed and direction they create a variety of visually interesting shapes within the sculpture ~ as well as the contrasting shadows it projects against the wall behind. This is a very easy project to build and a great place to begin your kinetic sculpture and clock making journey. Zinnia's included wheel design is only one example of display wheel possiblities; you can create your own designs! The basic motive mechanism of the Zinnia will easily accept a wide variety of other display wheel sizes, shapes and forms. The possibilities for other variations in display wheel shapes is only limited by your imagination! 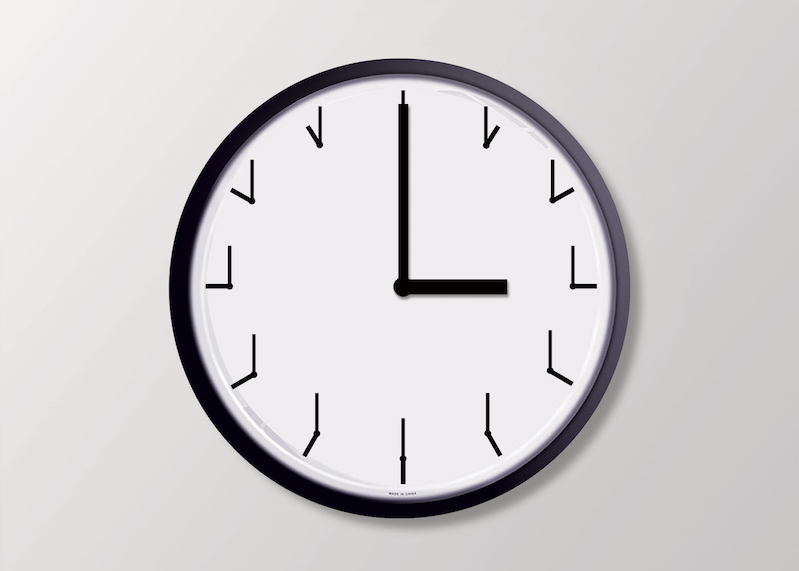 Today we gain a leap second. Why? Over at Smithsonian, Jimmy Stamp shares a brief history of the cuckoo clock, likely invented in 17th century Germany. So why a cuckoo? The common cuckoo, native to Europe, had long served as a natural marker of time, a welcome harbinger of Spring whose familiar calls denoted the coming of the new season and warmer weather. An archaeological expedition in the northeastern lowlands of Guatemala yields an amazing discovery: the "9th-century workplace of a city scribe, an unusual dwelling adorned with magnificent pictures of the king and other royals and the oldest known Maya calendar." This year has been particularly controversial among some cultists because of the belief that the Maya calendar predicts a major cataclysm — perhaps the end of the world — on Dec. 21, 2012. Archaeologists know that is not true, but the new find, written on the plaster equivalent of a modern scientist's whiteboard, strongly reinforces the idea that the Maya calendar projects thousands of years into the future. To paraphrase modern-day Maya priests I've spoken with on past travels in rural Guatemala: "Well, duh."